This voucher is good for one pair of tickets to The Un-Valentines Show Thursday, February 14th performance at 7:30. This lighthearted look at love features “Songs And Tales Of Unforgiveness, Heartbreak, Dysfunction And Revenge”. The show brings together two of Michigan’s favorite singers and songwriters, Jamie-Sue Seal & her talented and twisted friend John Latini. 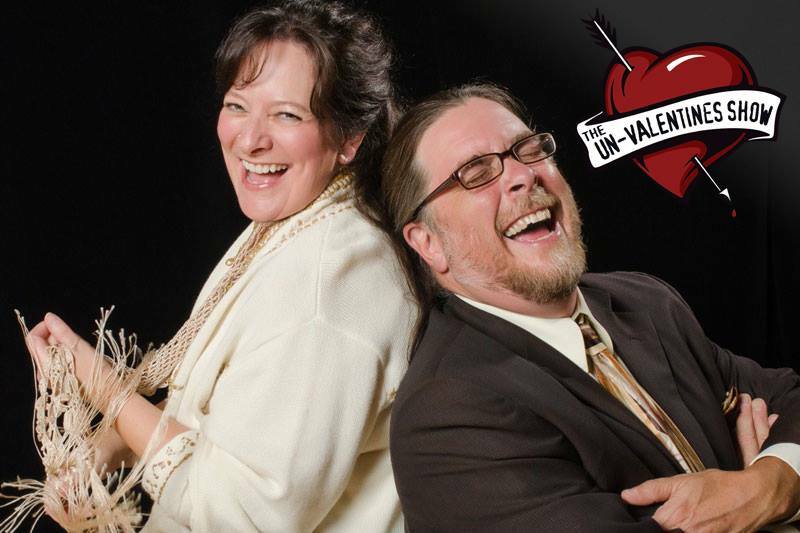 Whether you love or hate Valentine’s Day, this show promises to be hilariously entertaining! You’ll receive our discount based on the “Sweetheart Special” price for a pair. remember after receiving your voucher, please contact the Theatre to get your seats taken care of.